I’m sure many of you have heard that I was in a surfing accident recently. The swelling in my face has now decreased sufficiently for me to put on my old glasses and type the story out. Hopefully my new glasses will fit on my face soon. The story is longer than I had hoped it would be, but I couldn’t leave anything out. Truth really is stranger than fiction. I started surfing about a year ago. Nicaragua has some of the best surfing in the world. In fact, I have met surfers from all over the world here in Nicaragua. I’m not a good surfer. I don’t even own my own board. I borrow my neighbor’s board when I want to go. I typically go on weekends when I have free time, which isn’t every weekend. Last Saturday, two of my friends (Kathi and Nati, who incidentally aren’t surfers) wanted to go to the beach and were willing to split the cost of gas to drive there in my car. The beach we chose is about two and a half hours away from where we live, near the town of San Juan del Sur, Nicaragua. When I first got out in the water with my board, I couldn’t believe how great the waves were. I caught more waves the first hour that day than in my previous five trips combined. What normally happens while surfing is that you swim out with your board and wait for the right the wave to come. You have to carefully time the arrival of the wave with your position in the water. As the wave nears, you lie down on the board and begin to paddle towards the shore. If you have timed everything correctly and paddled hard enough, the board will ‘catch’ the wave, and at the proper moment you ‘pop up’ and stand on the board while carefully steering the board in a direction that keeps you in the wave and upright. As a beginner surfer, I often miss the wave and have to jump off the board or simply roll off the board. If the wave is really big, it can throw you off, so you have to be careful not to let the board hit you. When surfers are unsure of the board’s location, they will commonly put their arms over their heads and faces to protect themselves from getting hit. When the waves aren’t very big and you jump off the board, the board generally floats forward, and then you lean back and let the wave finish passing until you can safely grab the board again. Right before the accident, I was in a great mood. The waves gently rolled in, crested, and fell evenly left-to-right, creating ideal conditions for my skill level. 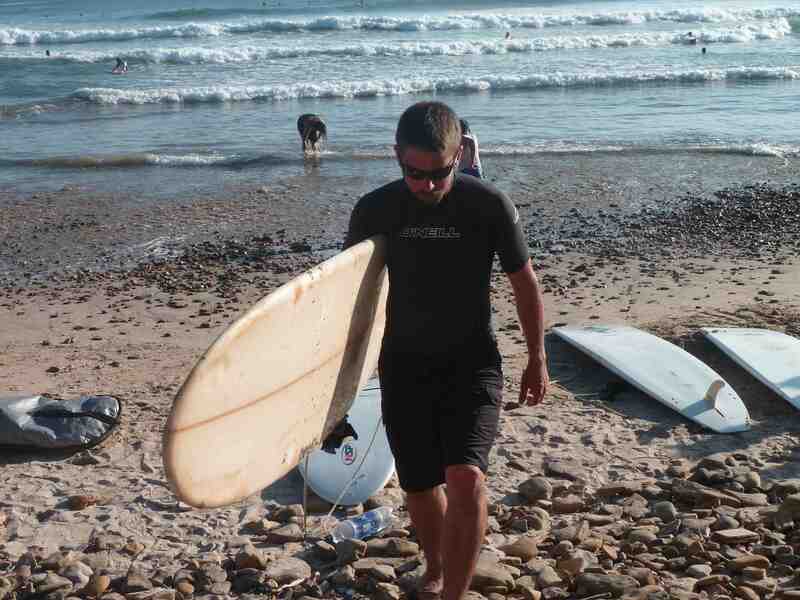 Even when I missed a wave, I was able to quickly recover the board without problems. I still can’t say exactly how it happened, but at some point after rolling off my board, I stood up in the chest deep water and my board popped up out of the water sideways and hit me square in the face. I have been hit in the face with my board before. It normally isn’t a big deal. It normally isn’t very hard, either. This time was different. The board had hit me in the nose, which immediately began to bleed. As I explained to them what had happened, I noticed that I was talking differently. I asked questions like, “Am I ok?” or “What are we going to do?” Shock was already beginning to set in. Normally, I would have had enough presence of mind to know that I had to go to the hospital. “Vamos al hospital, Andy” [We’re going to the hospital], Naty told me. 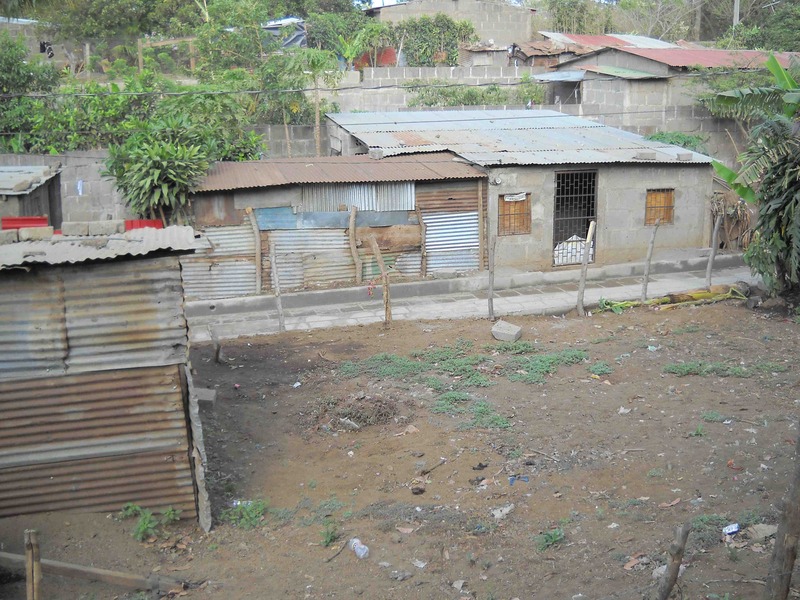 I began to think about the unclean conditions and crowded wards I had seen while visiting hospitals in Nicaragua. The thought of being cared for in one of these places did not make me feel any better. Kathi tried to wash the blood off my face with a bottle of clean water. I held a towel to my face to stop the blood and keep the sand out of my wound. A middle-aged man speaking perfect English quickly came to my aid. He identified himself as a plastic surgeon from the Hospital Metropolitana in Managua. As I later found out, this man is a foreign-trained plastic surgeon from the nicest hospital in Managua//Nicaragua with more than twenty years of experience. I couldn’t have asked for a better doctor. As he began to assess my condition, I almost passed out, so they made me lie down. The doctor shoved paper towels into my nose and put pressure on the ridge between my eyes. I never bled so much in my life. The bone was fractured, cartilage was dislocated, and my right nostril was torn, exposing my sinus when the flap of skin was pulled back. After we got the bleeding under control, the doctor held paper towels on my face and loaded me into a truck I had never seen. I sat in the middle of the back seat with the doctor on my right side and Kathi on my left. As we drove the rough dirt road from the beach towards town, the doctor held pressure on my wound. Every bump was like getting hit in the face again. The bleeding had slowed, and the doctor’s hand was the only thing that kept it from getting worse. It was painful, but necessary. Back at the beach, a stranger was tying the surfboard to the roof of my old Nissan Pathfinder. The doctor’s family rode with Naty to the clinic in San Juan in my car, while I rode separately with the doctor. I still don’t know who drove. I found out later that the doctor had been at the beach with his family for a funeral. They had rented a boat and were going to spread his mother-in-law’s ashes in the water. Upon our arrival at the clinic in San Juan, we were taken immediately into another room where the doctor, who stood there wearing flip-flops and board shorts, began to ask for different medicines. They didn’t have any of them. He asked for a good light so he could look inside my nose to make a better assessment. They didn’t have one. They did have gauze. He carefully inserted the gauze in my nose. This would stop the bleeding until I could get to a real hospital. He gave us two options. They could either take me to the really nice hospital in Managua (3 hours away) or to the clinic belonging to his friend, Doctor Cerda (2 hours away). This friend also worked at the Hospital Metropolitana. We decided to go to the clinic because it was only fifteen minutes away from where we live—and a whole hour closer. Doctor Lacayo finished giving instructions for my care to Naty and Kathi, then disappeared out the front door. As we were about to leave, Naty told me that my car was leaking a red fluid. There are only two places on my car that have red fluid: the automatic transmission and power steering. If the transmission was leaking and had caused the large puddle of fluid I saw beneath the car, we wouldn’t make it to the clinic. No one else, besides me, knew enough about cars to properly identify the leak, and we couldn’t risk breaking down in the middle of nowhere after dark. My only option was to crawl under the car myself and find the leak. As I did so, I kept one hand on the gauze over my nose and felt around the engine compartment with the other. The sun was already setting. I couldn’t see exactly where the fluid was coming from, but I could identify that it was not the transmission. I crawled back out from under the car and tried to get inside, but Kathi made me sit down on the curb so she could wash my hands. “You can’t get your hands dirty on the car and then touch your face,” she said. I felt like saying “yes ma’am.” I was very grateful that she was thinking more clearly than I. After the hand washing, I lay down in the backseat. Naty rode shotgun and Kathi drove. Two hours later, we made it to the clinic in San Marcos, where I met Doctor Cerda. Doctor Cerda told me later that when he first saw me, he thought I was going to need extensive facial reconstruction. Apparently the wound was kind of gruesome. He took ‘before’ pictures on his digital camera, shot my face full of pain-killers, and began to stitch me back up. I sat upright in a wooden chair with my head on the top of the chair-back. His nurse/wife held an LED flashlight on my face while the doctor sewed my nose back together. After the stitches were complete, he called the girls back in and showed them his work. Then he showed them the ‘before’ pictures. Kathi looked like she might throw up. The doctor then scheduled me for more surgery in the morning at a local private hospital. He would have to realign my dislocated cartilage (re-break my nose) and take a closer look at the wound in a real operating room. He also did something to my sinus, but I don’t really understand what that was. We spoke only in Spanish. We were at the hospital at 6:45 the next morning with cash in hand to pay for the surgery. They don’t offer credit at private hospitals here in Nicaragua. I had hardly slept the night before. I underwent general anesthesia and the doctor spent about an hour operating on me. At this point he discovered that the bone had been fractured; he also found a piece of paper towel that the doctor on the beach had stuffed into my nose. If he hadn’t found this bit of paper towel, I would have had major problems. The surgery went very well. The accident happened on Saturday. The doctor stitched me up the same night. I had surgery on Sunday. Picture number one is from Monday. Picture number two is from Thursday when the doctor took the gauze out of my nose and changed my bandages (before the bandages went back on). Picture number three is Saturday evening after the doctor took the stitches out. It’s incredible . . . I really can’t believe how well this story has turned out. First, as I think about the accident itself, it’s amazing that I didn’t immediately lose consciousness and drown. The board hit me hard enough to tear the right half of my nose loose. I didn’t get cut with a fin on the end of my board: the pressure from being hit so hard in the face is what tore my nose open. Then the likelihood that I would just happen to meet with a man who I imagine is one of the country’s best plastic surgeons on the beach immediately after my accident is unreal. And not only was he on the beach—he was at the restaurant as I walked up—and he was willing to leave a funeral to take care of me, all without asking to be paid. That’s incredible. As I write this, (on Sunday) only one week after the accident, it’s hard to believe that I was in a serious accident at all. The swelling has gone down, and the exposed cuts on my face are not very noticeable. I have had no infection. Three hours elapsed from the time of the accident until the doctor started stitching me back together, yet there is no infection. I never had major facial swelling or really bad black eyes either. The doctor who did my surgery did an excellent job. My friends who were on the beach with me took very good care of me. I don’t know what I would have done if they hadn’t been there. I also have good friends who let me stay at their house while I recovered. I don’t know what else to do but call my experience providential. I believe God helped coordinate the care I received. I don’t know how that works or why that is. (Beyond knowing that I am loved by God.) Surely I am no more deserving of care than anyone else. I do know that not everyone is as fortunate as I have been in this situation. I am humbled and more grateful than I can communicate. Thank you, Doctor Lacayo (and your family too). Thank you, Naty. Thank you, Kathi. I love writing. I am really excited about having this blog and writing in it. I started last year hoping to write regularly, but my schedule became overwhelming and blog-writing became a memory. I can’t really say that I regret the way I set my priorities last year, but I’m hoping to do more writing this year. So now, after a hiatus of more than a year- I’m back! Let’s see how this goes. I’m still here in Nicaragua, and I love it more and more all the time. Sometimes life here is frustrating, but I guess life wasn’t that simple when I lived in Texas either. For now, I’m helping with a number of different projects. I have been translating class in one of our training programs, helping a little with our elementary school, organizing our regional conference, and preparing for our next Bible course which starts in June. I was mostly successful. 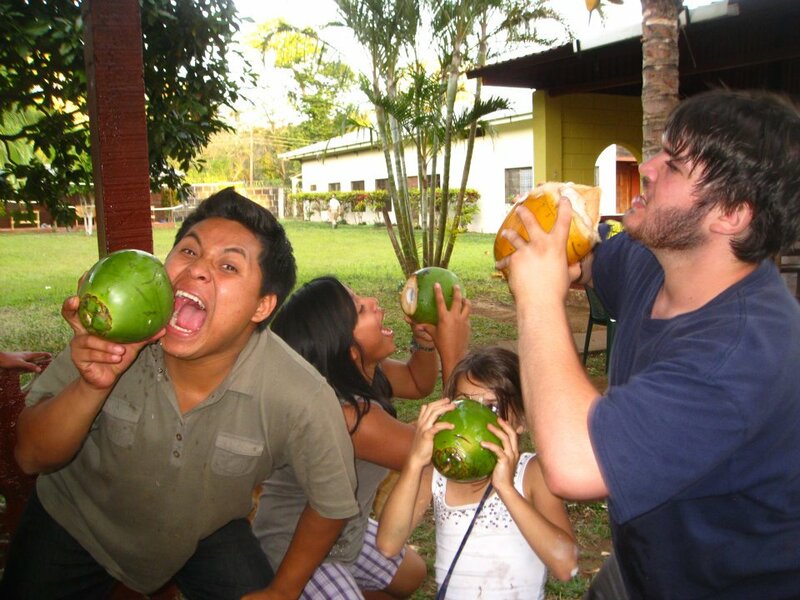 And everybody enjoyed the coconuts! I’m back in Nicaragua! It was difficult leaving my family, but I’m glad to be here. Apparently, there is a lot of work to be done. Over a period of three days, I have mowed our giant lawn with a push mower by myself. 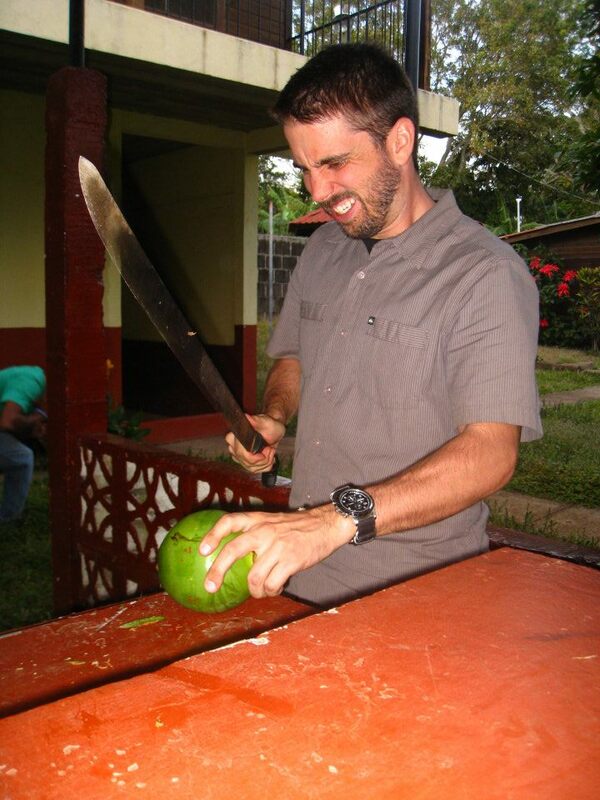 When I asked about a weed-eater, they told me it was broken and they use machetes instead. Ha! I can’t imagine how much work that must be. I have spent the last two afternoons wandering around town with another staff member looking to rent a house for a family that is coming to do one of our training schools. I have learned a lot in the process. First of all, no one has a numerical address for their house. Addresses are something like: “From the grocery store, four blocks south, yellow house.” Second, there are no classified ads if you’re looking for an economical house in our town. What you have to do is, walk up to someone sitting in front of their house in a neighborhood you like and ask, “Do you know of any houses for rent around here?” If they say yes, you gather the cryptic description of where the owners (or landlords) live and go to their house. Once you get to the owners house you knock on the door and inquire about the house for rent. If you’re lucky, the owners are at home. If not, you might get to speak to a child or a neighbor who will tell you when to return. 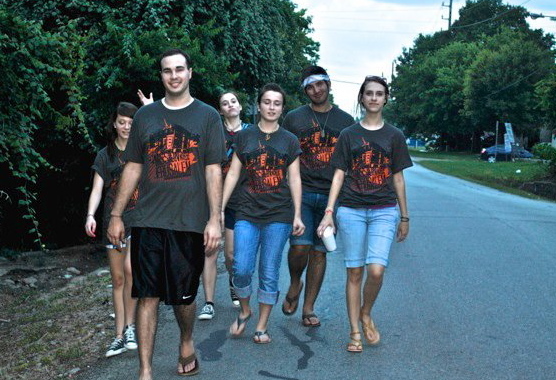 We spent a lot of time wandering the streets like this talking to people only distantly connected to a rental house. Third, when you finally do find a house, realize that houses with everything you need are expensive. We’ve been looking at houses to rent for between $60 and $300 a month. For this price you don’t get a lawn, stove, refrigerator, air conditioning, washer, dryer, etc. One house we looked at we were told had a garage to put a car in. It turned out the garage was right next to the kitchen- without a dividing wall. So you would basically be sitting at the table in the kitchen and be able to smell the gasoline from your car. I don’t think I would have designed a house that way. Anyway, we did finally find a suitable house and the family is excited about coming. The school I’m staffing starts January 23. Until then, we have a lot of prep work to do and I should get back to it! Last Friday, after being in Nicaragua only two and a half weeks, my sister Beth sent me an urgent email asking me to call her. I called her only to find out that my grandmother was sick and would most likely not make it through the weekend. I quickly found a plane ticket home, threw some things in a bag and arrived in Houston less than ten hours after getting the message. 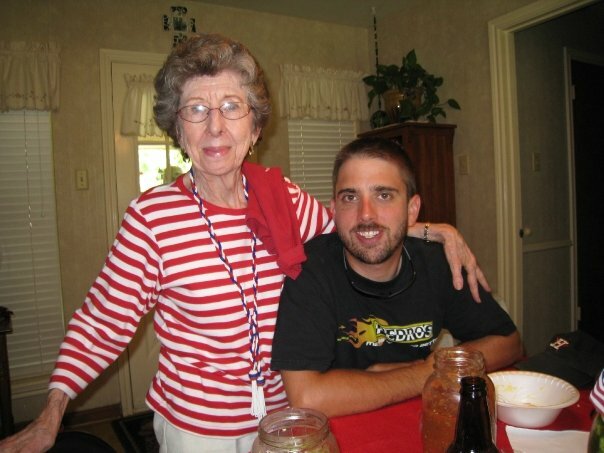 When Beth picked me up at the airport, she hugged me and let me know that Grandmother had passed a few hours earlier. (We called her “Grandmother.”) In the car on the way back to my parents’ house, Beth told me a little about Grandmother’s last few days. Grandmother had stayed characteristically positive right until the end and had more visitors than the nurses on her floor had ever seen a single patient have. Her sweet disposition and love for others inspired family, friends, church members (some of whom had barely known her) to not only visit once, but to return on multiple occasions. Knowing Grandmother, her visitors were equally blessed by visiting her as she was by their visit. She held her cup out and toasted everyone in the room. Upon noticing that my brother-in-law, Richard, didn’t have a drink, she made him get the bottle of water on the counter and toast her. Grandmother was certain that her time had come and her destination in heaven was secure. I am thankful for her life and grateful that her suffering has ended. Two nights ago, the preschool teacher, Corri, asked me to accompany her to visit the home of one of the students at the school here. When we arrived, we found the mother sick in bed. Her body was thin and her face pale. We began to ask her questions like, “What are the names of your children?” She could not remember all their names or their ages. She often just repeated our questions or statements back to us. She was obviously not in her right mind. She has four children and lives in a tiny cinder block house with a tin roof. The neighborhood where the family lives. Corri joined in, singing in Spanish. The mother got up from her bed, sat in the rocking chair and began to rock. Corri told me yesterday that the mother has continued to improve. Apparently, she is feeling better, moving around the house and talking more. I don’t fully understand what is happening in situations like this. I don’t like to over-spiritualize every day events. People get sick and get better every day without a miraculous healing. However, it does appear to be obvious that the mother was sick and now her condition is improving. We did pray with her. We did ask God for help. The woman could not afford proper medical attention and I do believe that God desires to heal and answer prayer. Can I say definitively that God has miraculously healed her? No. Can I say that He has not? No. I can thank Him in any case, because she is doing better. I don’t have to understand. 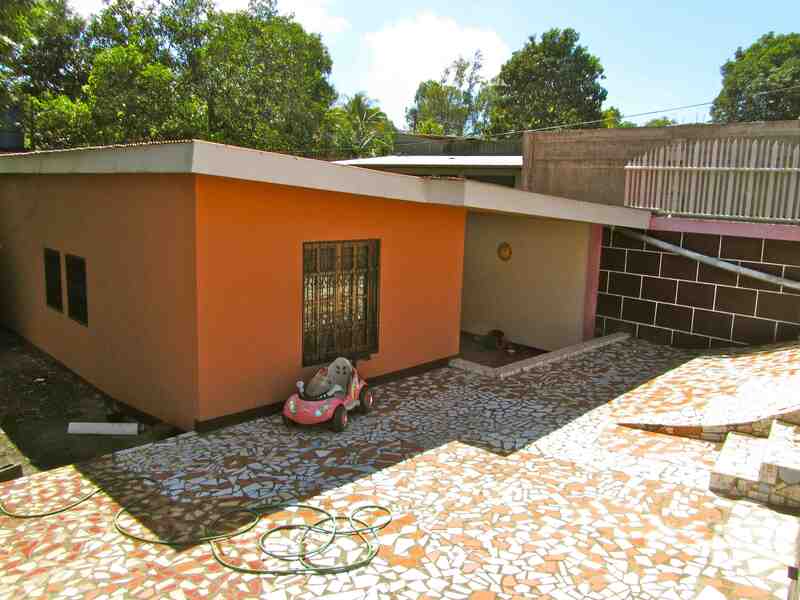 I can continue to ask God to heal and move here in Nicaragua. After more than a year of research, planning and preparation, I am finally in Nicaragua. Monday morning, I left my parents’ house at 3 am. Two flights, two car rides, and only 11 hours later I arrived at the YWAM base here in Diriamba, Nicaragua. So far, everything is going really well and the base is very calm. I didn’t know what day of the week today was until I logged on to my computer. The K-6th grade school is on break right now and none of the training schools are running. Most of the westerners who work here have returned to the states to rest and be with family. As of right now, there is only one other native English speaker around. This is great for me, because it forces me to work on and improve my Spanish. 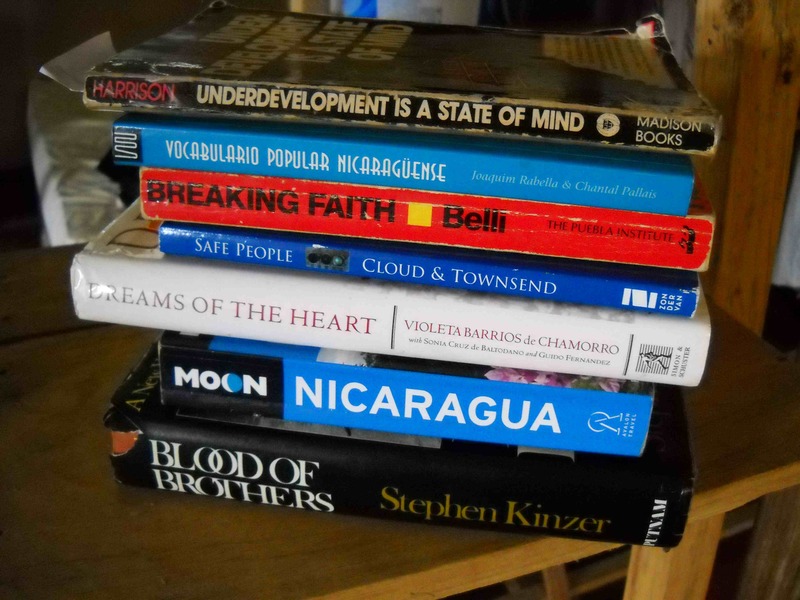 I have had multiple people bring me good books to read about Nicaragua, Latin-American history and culture. Nicaragua is beautiful right now. The rainy season just ended and everything is bright green. Its been cloudy, which has kept the temperature down during the day and its cool enough at night for me to sleep all the way inside my summer sleeping bag. I’ve been drinking coffee and reading about Nicaraguan culture and Latin-American history. Its really good to be here. So it’s all official. I leave for Nicaragua November 15th. My plane ticket has been bought and I will be there before I know it. A full week has passed since my last day of work in Sugar Land. It’s a lot to wrap my head around, but I’m excited. I’m sitting in an airport in Portland, Oregon right now. I spent the last five days visiting old friends here in Oregon and I’m headed to Pennsylvania to see more. I’ll get back to Rosenberg on October 30th. My sister will get married a week later, and I’ll be gone a week after that. Life is busy, but really good. It’s sad to think about leaving so many people here, but exciting to be headed for Nicaragua. Keep me in your prayers. I still have lots of things to take care of before I leave. There are about 12,000 unique people groups in the world. About half of these groups are considered unreached by the gospel. Most of these people (about 4 billion) typically learn through non-literate means. That means that, even if there is a Bible available in their language, they probably won’t read it. These numbers don’t even take into consideration the people you work or live with who just don’t read books. So, how are we supposed to share the truth in the Bible if people won’t read? Contextual Bible Storying is a method for sharing Bible stories with non-literate learners. The teacher, or storyteller, learns to accurately re-tell a bible story in their own words, careful not to change anything of importance in the text. 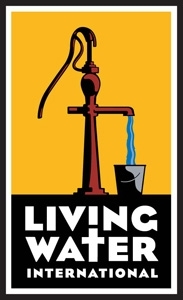 I got to spend an entire Saturday learning how to do this at a conference with Living Water International. I had a lot of fun. Maybe it doesn’t sound fun. Maybe it sounds like a lame story time for grown ups. The truth is though, that everyone likes stories. We tell stories all the time. Learning to re-tell Bible stories made the stories come alive to me. The dry pages disappeared and the reality of what they describe seeped into my heart. Jesus really walked the earth two thousand years ago. He got tired and hungry and thirsty. He knew what it was like to have a friend and what it was like to be lonely. He knew love and loss and heartbreak. He even made wine at a wedding. I’m so glad He’s real. I’m so glad His friends wrote His stories down. I’m glad I can share the same stories. This is one of the programs I’ll be working with in Nicaragua. On Sunday mornings, I sleep as late as I can, then get up and go to church. If I take the direct route, it’s about a ten minute drive to my church and I pass at least four other churches on my way there. If I go by Starbucks on my way there, I pass two more. We have churches in cathedrals, traditional church buildings, movie theaters and more than a few that rent space in public school buildings (including mine). Spanish speaking churches are almost as easy to find as english speaking churches. Traditional worship services (think hymnal and organ) are probably just as common as contemporary services (think drums and guitars). Church is everywhere. Church people are everywhere. Its strange though, that with as much as us locals have in common, our churches rarely work together. If I ever do see churches working together across denominational lines, it really stands out to me. How do you get Baptists to hang out with the Pentecostals? How do you get Black churches to work with White churches? (especially in the South) How do you get aging conservative churches to worship alongside charismatic churches? The only way it works, is if everyone agrees that the work they are doing is more important than the differences they have. For the past eight years, my church has been part of what we call, ‘Mission Jerusalem.’ Mission Jerusalem is a week long inter-church outreach to our community. Though it is mainly a youth event, all ages of church members get involved. This year we had at least six different churches involved from diverse denominational and racial backgrounds. Looking back, nothing we did was all that special. In the mornings we played with kids, visited the elderly, and met with people in our own neighborhoods. In the evenings we put on block parties with cheap food, live music and games for kids. What was special, was that very different churches came together with a single purpose and heart to reach our community. I think a lot of people hear the word ‘church’ and think of close-minded, self-righteous know-it-alls who could hardly be characterized by the word ‘love.’ Those people are out there, but that’s not my church and its not the average of what I see in the other churches in my community. When I look at the churches in my community, I see people who desire to love and to serve. I see people who are willing to put aside their differences and work together.